The main union at Chile’s Caserones copper mine, majority-owned by Japan's JX Nippon Mining and Mitsui Mining, has accepted an adjusted contractual offer from management, which marks the end of the negotiation process and removes the threat of a strike. “We have reached an agreement on the drafting of the collective contract, and we have signed the collective agreement,” the board said in an internal memo sent to workers early on Friday. Had a deal not been reached, workers were ready to go on strike Friday morning. Talks between the parties were about to fail several times during the negotiation process over last-minute differences, but the company and union members finally reached an agreement past midnight Thursday. Caserones mine, behind schedule ever since it began producing in May 2014, not only has been affected by threats of strikes and a series of technical problems in its ramp-up phase. It has also cost the Japanese miners hefty impairment charges. JX Nippon Mining, the metal unit of JXTG Holdings, which has a 51.5% stake in Caserones, posted in April a 128.6 billion yen-charge (about $1.2bn at today’s rate) for the mine in the financial year to March 31, which brought its total impairment loss on the operation to 276.9 billion yen. Japanese trading house Mitsui & Co, in turn, reported in May its first loss since it was established in 1947, following a series of one-time impairment charges, the largest of which came from its interests in the Northern Chile-based copper mine. 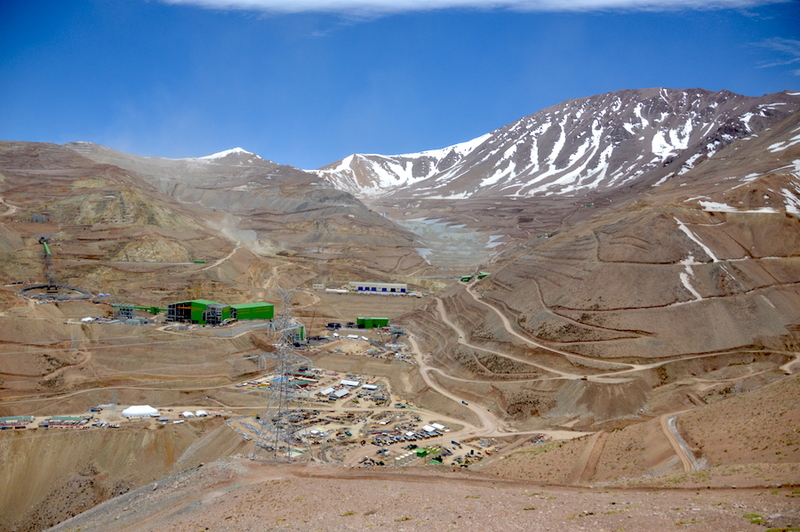 Caserones, located at an altitude of 4,200m to 4,600m above sea-level, close to the border with Argentina, produced last year 122,800 tonnes of copper, just over 2% of Chile's total annual copper output. The figure still fell short of the 150,000 tonnes target intended when kicking off construction of the mine, operated by Minera Lumina Copper Chile (MLCC).